One of the best things about teaching is that it is very rewarding. While mental satisfaction is extremely important, still we live in a material world and a salary has to be good enough to afford living and retirement. Teaching English in other countries is a good way to earn more money and have exotic experience of meeting another culture. Would you like to try it? In this case, you might want to learn what is an installment credit to have an initial budget to travel abroad. If you are ready to set off, check the list of the countries with the best payments for teachers of English below. This country admires visitors with its ancient culture, the atmosphere of exotic East, fast trains and picturesque views. While it is a great place for tourists, China is also one of the most profitable and biggest job markets for the teachers of English as a foreigner language. The work conditions include free housing, airplane tickets and ability to save about from eight hundred to a thousand dollars a month. Millions of Chinese are eager to take English classes. All this makes this country appealing to English teachers. It is a nice way to combine a well-paid job with traveling and discovering another culture. South Korea attracts professionals with its stable economy, modern technologies, and thirst for the education. It will give you the ability to enjoy the contrast between high-tech cities and rich ancient history while making good money. 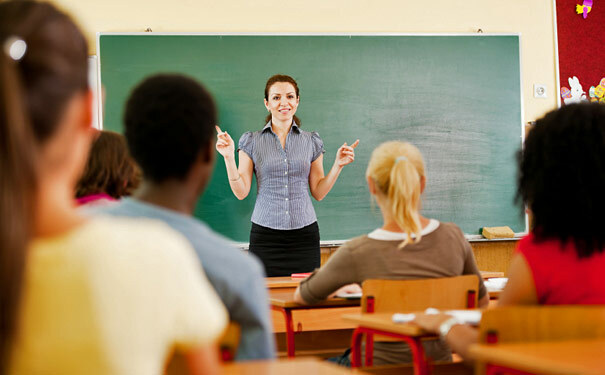 The teachers of English usually manage to save a half of their salary which can be about one thousand dollars a month. The airplane tickets and housing are also provided to a professional by the employers but there are other bonuses. In the end of the contract, a worker gets a stipend for a flight home. If the term of the contract is twelve month, you will get an extra month’s salary for completing it. Taiwan is a good choice for people who are interested in a subtropical climate similar to the weather type in Florida and Jamaica. It is an island with magnificent coastlines, breathtaking mountains, and hot springs. Except for an amazing nature, it also offers great work conditions. The teachers are usually able to save from five hundred to seven hundred dollars a month. Other bonuses are high living standards, democratic society, exquisite local cuisine and the opportunity to learn Mandarin and Chinese languages. Japan is known for its well-developed technologies, modern cities, and beautiful nature. Kyoto is a dream of tourists from all over the world. It attracts with a dynamic atmosphere of the high-tech city. The country is also very attractive for teachers of English. The salary allows you to save about from six hundred to eight hundred dollars a month. The advantage of working in Japan is that you can get hired in advance and so you won't have to worry about finding a vacancy when you arrive there. The countries of the Persian Gulf like Saudi Arabia, Qatar, U.A.E., Kuwait, and Bahrain put a lot into their economy development and education. The oil wealth allows them to make good offers to English teachers but the qualification and professional experience are often required. The salaries in Arab countries are usually from two thousand to five thousand dollars. As for the bonuses, it could be free health insurance, housing, and airplane tickets. You will also have great travel opportunities to African and Asian countries and ability to discover rich Oriental culture. Vietnam is a mix of Chinese and Southeast Asian cultures with a French colonial past. The country can mesmerize you with a long coastline, high mountains, and modern fast-developing cities. The payments for teaching English are high and give a chance to save up to six hundred dollars a month. It is also possible because of the low cost of living. Vietnam offers not only a good job but also wonderful rest because of spectacular beaches. The local street markets create an unforgettable atmosphere. There also a lot of historic monuments, wonderful lakes and exotic shops which are worth visiting.